How to convert scanned pdf to editable dwg? 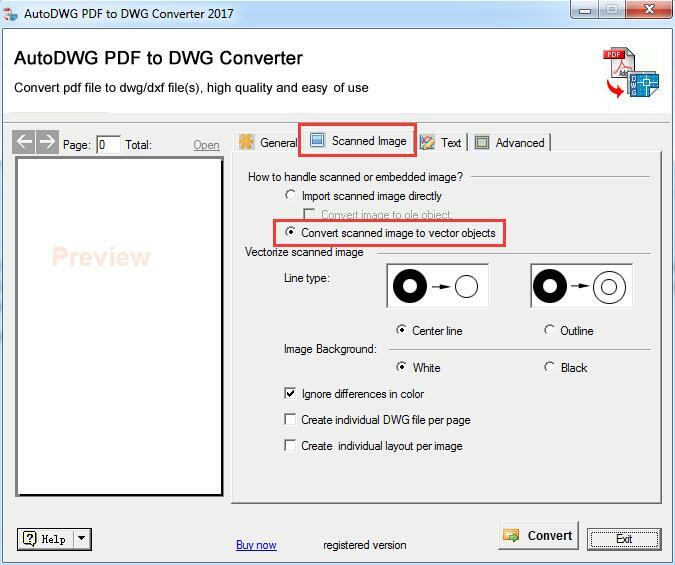 Please run PDF to DWG Converter and click on the tab “Scanned Image” And then select and tick the option “Convert scanned image to vector objects”. Then this program will start tracing bitmap picture as line segments, the conversion result depends on the image size and image quality, it won't be crystal clear and lines/texts will be broken. The computer is not intelligent enough to recognize crossed and/or connected lines.